2019 AFCEA Homeland Security opens Monday with keynotes and panel discussions at the Reagan Building and International Trade Center, 1300 Pennsylvania Avenue NW, Washington, DC. The conference focuses on identifying, reducing and mitigating risks for federal agencies. Successfully securing the homeland depends on preparing for the unknown, preventing attacks and planning recovery. Discussions topics include nontraditional procurement methods, winning small business contracts, the protection of data in the cloud, and actions that federal, state and local governments can take to enhance CIP and incident response. The exhibit portion of the show opens Tuesday and continues on Wednesday. 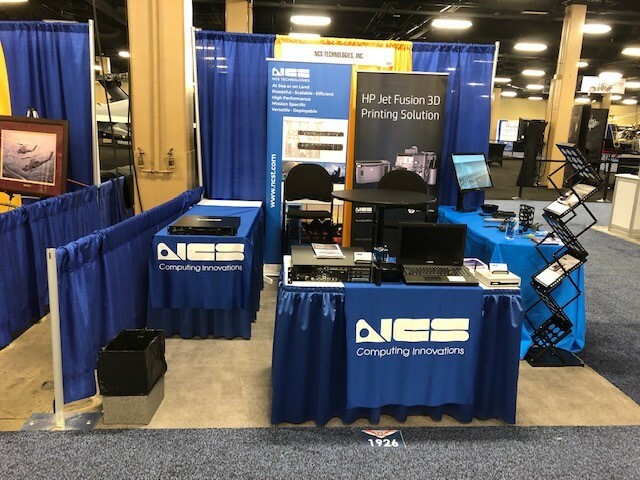 At Booth #29-30, NCS is featuring HP PC and Print solutions, Cannon document scanners and the NCS Cirrus virtual end point product portfolio. The AAAA Annual Summit is open at full swing at the Gaylord Opryland Hotel & Convention Center, Nashville. This is the major annual symposium for Army Aviation. The AAAA Annual Summit opens April 14 at the Gaylord Opryland Hotel & Convention Center, Nashville. This is the major annual symposium for the entire Army Aviation community. 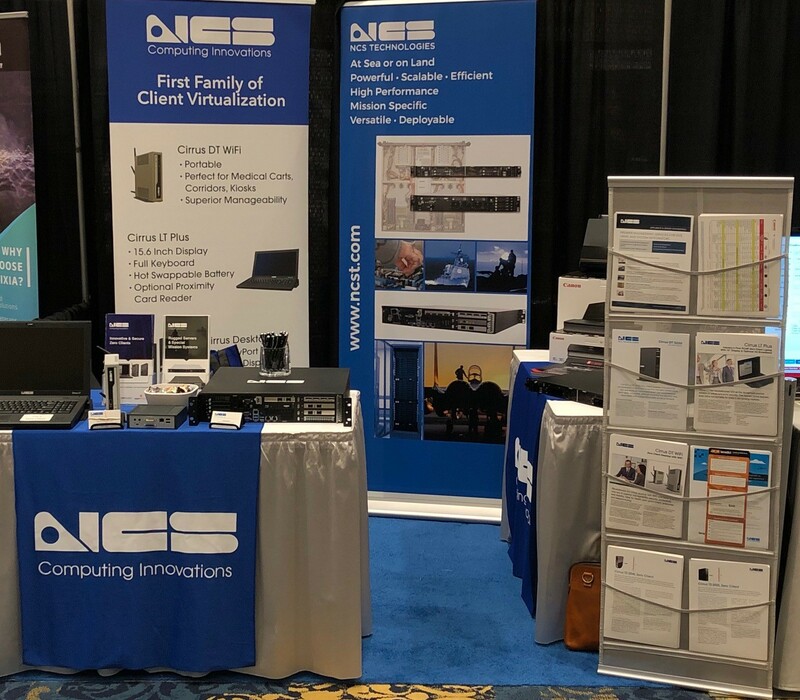 One of the fastest growing businesses for NCS Technologies involves manufacturing and selling rugged servers, standard servers, appliances and engineering services solutions to the military, government civilian agencies and businesses. The topic of ensuring secure government communications is complex, and multiple programs come into play. 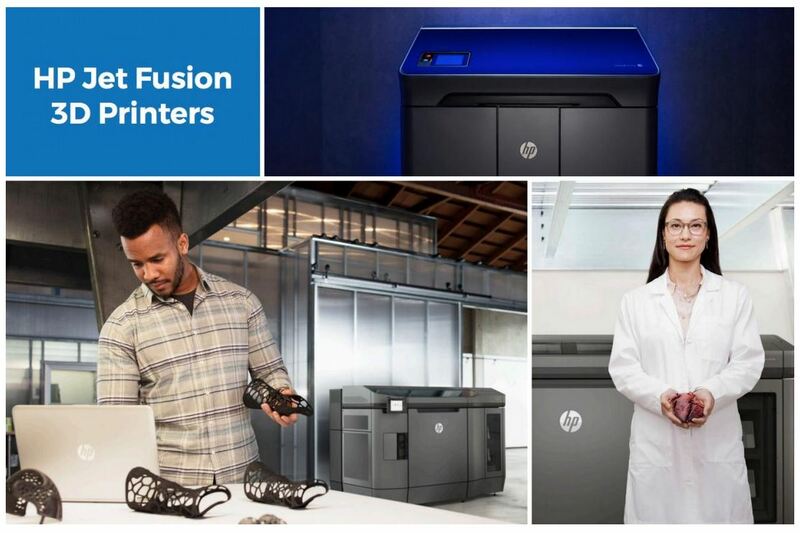 Programs include protecting personal information, databases and servers, locking down endpoints, and avoiding social engineering threats. Much effort is undertaken in protecting government networks themselves. IT administrators must accommodate potential access to various levels of secure networks, depending on the message and the need. This is known as multi-level computing. PCoIP is a high performance computer display protocol used in endpoint virtualization. PCoIP from Teradici uses advanced compression to provide end users with rich content from the cloud or data center. 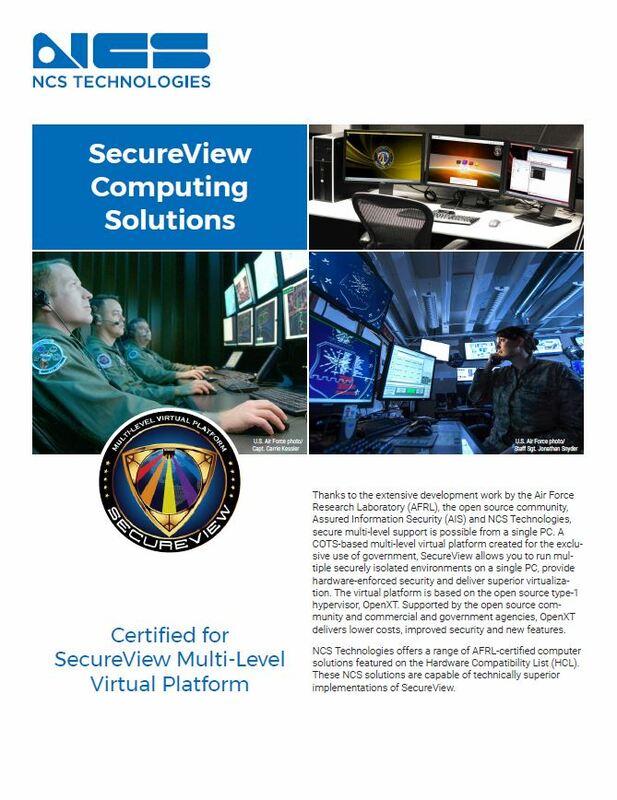 PCoIP securely delivers applications or workspaces to the endpoint by compressing and encrypting pixels delivered to end-user devices. More than 10 million endpoints use PCoIP. NCS partners with Teradici in this market. 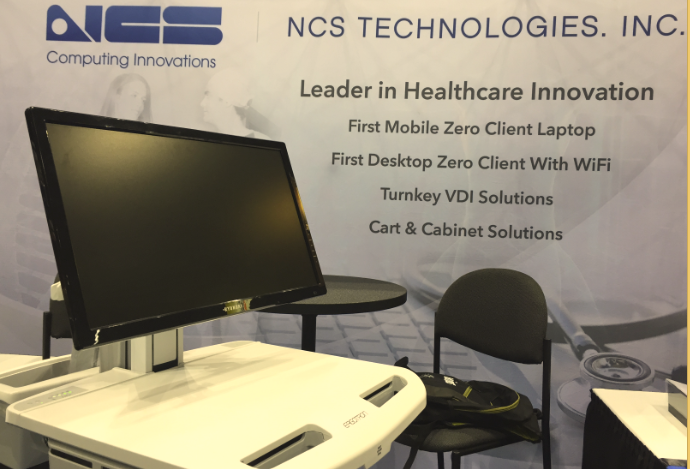 NCS offers a portfolio of innovative PCoIP-enabled desktops and laptops that are used in healthcare, civilian government, military, retail and industry. To manage virtualized endpoints, NCS recommends the Teradici All Access Plan. Global Force Symposium and Expo, sponsored by the Association of the United States Army, enters its final day at the Von Braun Center, Huntsville, Alabama. 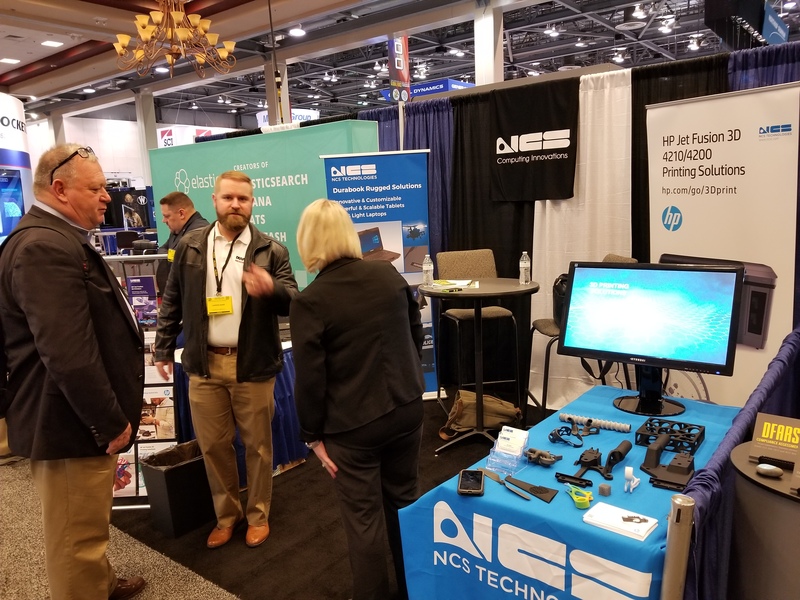 Global Force Symposium and Expo, sponsored by the Association of the United States Army, continues today at the Von Braun Center, Huntsville, Alabama. The event includes presentations from the Office of the Assistant Secretary of the Army (Acquisition, Logistics and Technology), the United States Army Materiel Command, and the United States Army Training and Doctrine Command.